"3 MINUTES WALK TO THE BEACH"
Ideally located 2700 sq. ft. home that is only a 3 minute walk to the beach. 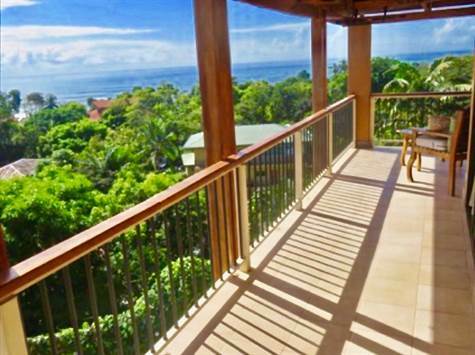 This property has amazing Ocean and Mountain views from every room of the house. salt water swimming pool and outdoor shower. Oversized 2 car garage with large storage loft, washer and dryer, utility sink, bonus closet and 14 foot ceilings. The garage is very spacious and easily convertible into a 3rd bedroom and full bathroom or entertainment room. Very secure, easy to lock up for absentee owners. Spacious Deck can be converted into additional living area also. Brochure with additional photos and details available upon request.